I just got the latest edition of British Archaeology, which is stuffed with wonderful articles on Hadrian, Hadrian’s Wall, and the Antonine Wall. I was also thrilled to find a free DVD in the magazine, short films of Roman frontiers from all around the world–then crushed when I found it wouldn’t play in my whatever-this-region-is DVD player. Pah. So now I’m going to fork out $70 for something I should have bought a long, long time ago: a region-free DVD player. 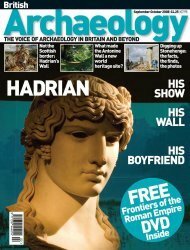 Mike Pitts, the editor of the magazine, writes a wonderful article on the British Museum’s new Hadrian exhibition, Hadrian: Empire & Conflict, which, he believes, sets a new standard for public archaeology. There are many misconceptions about Hadrian’s Wall–it’s the border between England and Scotland, it was built to keep the Picts and Scots out of civilised, Romanised Britain, it’s as far as Roman influence stretched in the early second century AD–which this exhibition (and the BA article) should quash. The most interesting notions, though, are one, the parallels the show’s curator, Thorsten Opper, draws between Hadrian’s times and today’s world politics and, two, the role his wall may have played, geopolitically, and the role other more modern barriers play. For example, he points out that one of Hadrian’s first acts on accession as Emperor was to withdraw from Iraq (Mesopotamia). He ponders the Israeli West Bank barrier, how, although it was described by its creators as a defence against Palestinian terrorists, its actual effect is to break up communities: to destroy land, property, access to history and culture, and more. Hadrian’s wall probably did the same nearly nineteen hundred years ago: its influence would have been huge north of the so-called frontier. So why is all this relevant to Hild? Because if Opper is correct in his supposition that the wall functioned culturally very like the West Bank barrier, the impact on northern British society would have been huge, rippling even into Anglo-Saxon times. I’ll have to give some thought to this. Hopefully the DVD, once I can watch it (grrr) will help. Nicola, will the dvd play in your computer’s dvd player? Yes! I’ve been arguing for sometime that the Bernicians would have been considered different from the rest of the Anglo-Saxons because they were beyond the wall, an invader from the barbarian north, or formed in the barbarian north. Not that they would not have had plenty of contacts with the rest of the Anglo-Saxons but as we say from around here, they were from the other side of the tracks – they had something to prove. 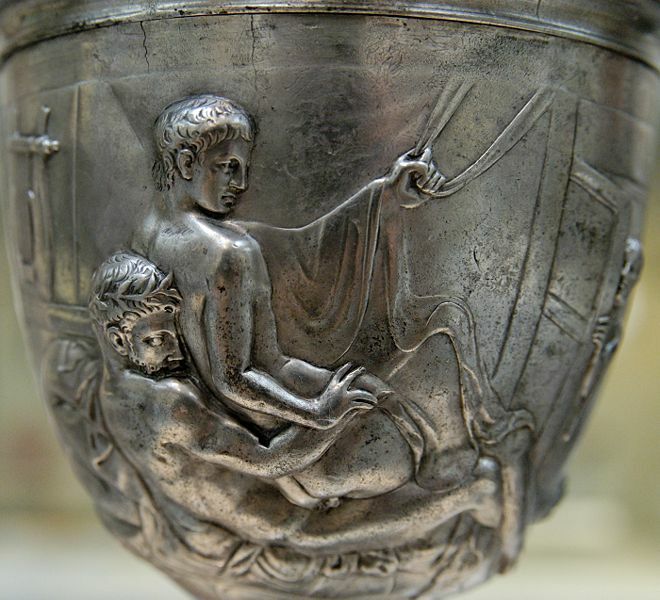 And dealing with Picts and Scots… Its possible that early on they raided in alliance with Picts and Scots. Well, the Æthelfrithings fled to the Picts and Scots and married into the power structure, which argues for some kind of previous working knowledge of each other. I imagine the æthelings in exile, and their retainers, caused a lot of trouble in Edwin’s Northumbria.I’m still trying to track down sources for the Wikipedia mention of a siege of Bamburgh by the Dal nAriadne (around 623?) but I’m not as familiar with Irish annals as I would like. But, yes, lots of interaction, hostile and otherwise, between all the peoples in the north.